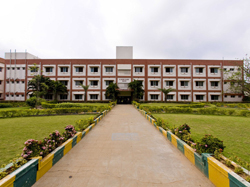 RMK Engineering College is a private engineering college established in the year 1995 in Tiruvallur District of Tamil Nadu. RMK Engineering College is affiliated to Anna University and is accredited by National Board of Accreditation and AICTE. 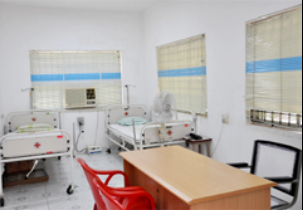 The institute is certified by ISO 9001:2008. RMK Engineering College is spread over 60 acres of lush green environment providing state of art infrastructure. RMK Engineering College facilitates adequate class rooms, seminar halls, lab, library, hostel, hospital, transport, gymnasium etc. 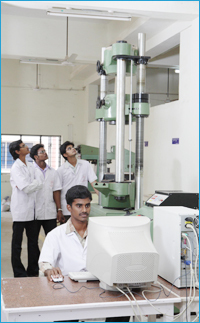 RMK Engineering College offers engineering courses in under graduate and post graduate level. RMK Engineering College encourages students in certain extracurricular activities like organizing fests like Cybernautix: technical fest, Hon-E-Ken: Inter college technical fest, CynapSE: technical fest 2015, Instronics: technical fest 2014, Opuzelek: technical fest 2011, Impulse: Cultural Fest etc. RMK Engineering College offers excellent placement opportunities to the students. The companies that visit the campus frequently for recruitment are EMC2, Microsoft, HP, Verizon, Sify Technologies, Sai Consulting, Polaris, Aspire System, Atmel Corporation and many more. RMK Engineering College has been awarded Bharatiya Vidya Bhavan National Award for an Engineering College having Best Overall Performance by the Indian Society for Technical Education (ISTE) in the year 2008. 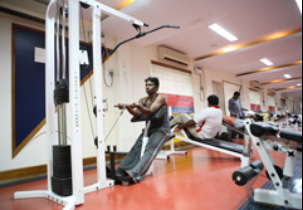 RMK Engineering College is located near Puliyur Forest, Panpakkam lake, Kilikodi Lake and Ennore Port. My son's cutoffs is 52 and his total is 340. Is it possible to get admission in management quota? what is the management fees for the cut off 126 in rmk?? My cut off in tamil nadu hsc board exam is 126. what will the management fee for this cut off in rmk? Whether I will get seat in RMK or RMD? ? Are you Interested inRMK Engineering College"? Please provide the following details.